It’s almost a no-brainer that you want to be ranking high on those Google search pages, especially in your local area. For instance, if you’re a hairdresser or selling custom birthday cakes, you’ll want to be targeting those who need a trim or a spaceship-shaped cake who are actually located geographically close to your business. A smart local SEO, or Search Engine Optimisation strategy is absolutely vital for attracting local website traffic and – of course – making money. As we’re about to discover, when it comes to SEO for multiple locations, many businesses and brands are leaving a whole lot of money on the table. So what is local SEO? It’s the way to use your business’ physical location to be shown on things like Google Maps, local directories and search results with local intent. Tasks like using your location in page titles and meta descriptions, ensuring your address is used consistently in all your content all feature on a solid local SEO checklist. Unfortunately, traditional local SEO strategies like this are designed almost exclusively for a single business location. But what about those businesses that have two, three or even a dozen or more physical locations? 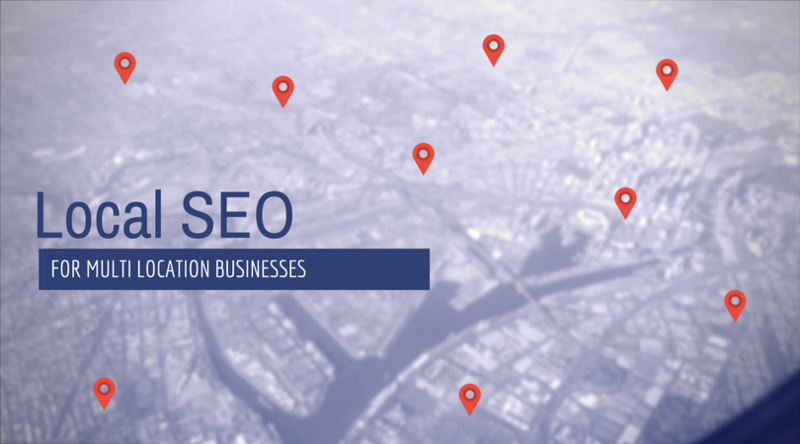 Wondering how to master local SEO for multiple locations? Here’s what to do! Many businesses with multiple locations might decide that the best SEO strategy is to have a specific domain for each outlet. After all, if you want searchers to find that particular outlet, surely it makes sense to have a unique URL for Google to crawl, right? Not necessarily. In practice, it’s not only Google but also your potential customers that may get confused by all of those different domains representing a single brand. So putting it all under one roof (or website) means you are maximising rather than diluting your brand’s potential visibility. While promoting all of your branches on one website makes sense for simplicity and those discerning Google bots, you then need to make sure all of your various locations are still being adequately differentiated. Again, always look at things from the perspective of Google and your users: is it obvious that you have multiple locations, and is it easy to find the nearest one? A great way to do this is with prominent local pages easily found in your websites navigation. Here, individual page titles clearly state each location, with content that differentiate the features of individual outlets and includes unique address and contact details. Adding driving directions, local reviews and staff profiles boost the unique content of local pages and their rankings. It’s still important to have a single ‘contact’ page, listing every locations unique address, phone number and other contact details. The contact page should link to the full details on each local page, clearly communicating your different business locations and how they relate to your brand. 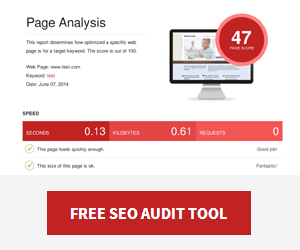 Local SEO extends beyond your website. Google doesn’t just look at your site but also to external sources – and if the location information doesn’t all match up consistently, the penalty will be in the form of a weakened ranking. We’re talking about local listings such as Google Maps, Truelocal, Yelp, SearchFrog and niche listings like UrbanSpoon. While we said earlier that all of your locations should be housed under a single domain roof, the same isn’t true for those listings in local directories. 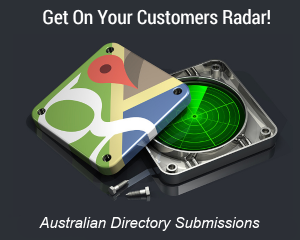 Each location should have it’s own directory listing on the top local directories. You’ll need to search for existing listings as well to ensure their accuracy. It’s always surprising how influential positive reviews are for local businesses, not just for those who want to use your business, but also in terms of strengthening that search ranking. Studies have shown a 5-star rating earns a business 28% more clicks vs. having no rating at all. Since each branch have their own local directory listings, local reviews strengthen signals for each branch. Multi location businesses should have a process for encouraging online reviews that’s easy for each branch to follow and manage, including proactively responding to reviews. In this way, those posting positive reviews feel appreciated, and those reading a negative review can see how you explained or appropriately dealt with the situation. So while mastering local SEO for multiple locations may be an extra challenge, it pays huge dividends directly to all of your local stores and branches. SEO Copilot are recognised leaders in mastering the perfect local SEO strategy, so get in touch today to find out how we can help or join the conversation by leaving a comment below.